Raspberry - The fabric was hand dyed with forest berries to create beautiful soft pink colour. Charcoal - The fabric was hand dyed with activated charcoal and minerals to create an intriguing greyish colour. Calendula - The fabric was hand dyed with coreopsis and calendula flowers using an ancient dyeing technique to create a beautiful, natural orange colour. 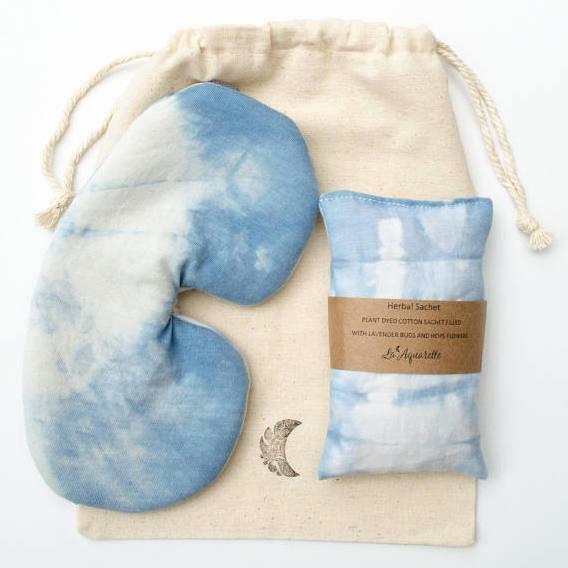 Indigo Shibori - The fabric was hand dyed with indigo extract using an ancient dyeing technique to create a beautiful intense blue colour. 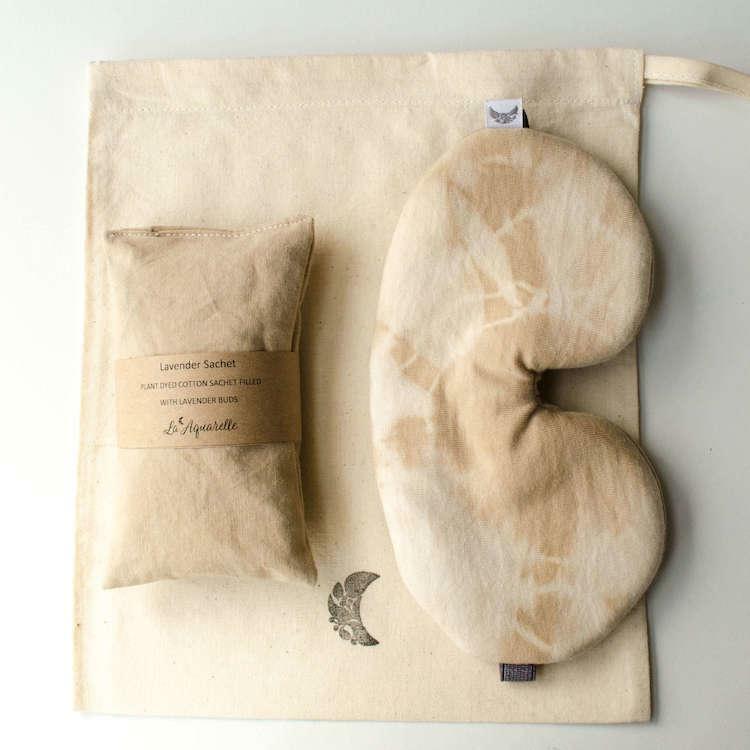 Tea - The fabric was hand dyed with tea leaves to create a beautiful natural beige colour. Hibiscus - The fabric was hand dyed with hardy hibiscus flowers to create beautiful deep purple shades. 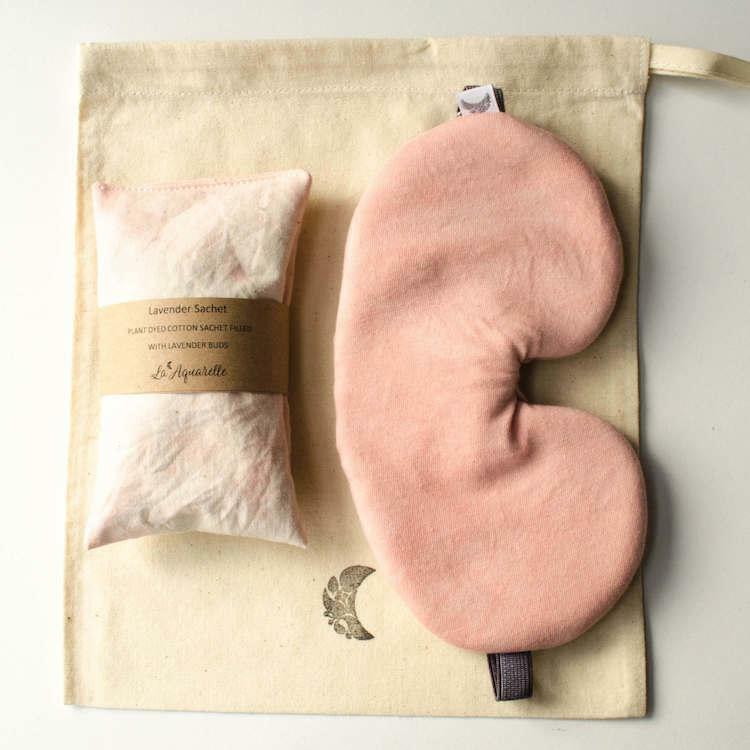 Avocado - The fabric was hand dyed with avocado stones & skins to create a dust peachy pink colour. 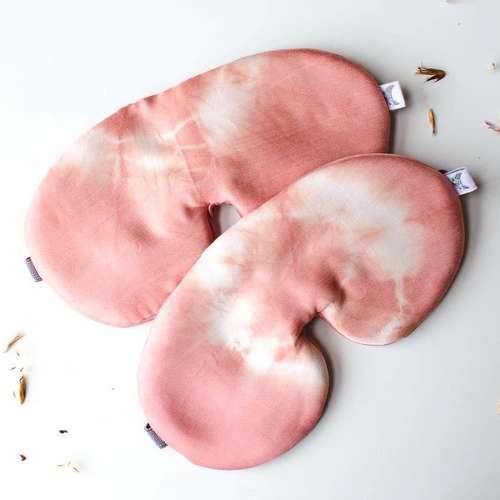 You can choose whether you would like organic cotton which is very soft and gentle and bamboo silk which is hypoallergenic and especially good for those with sensitive skin. 2. 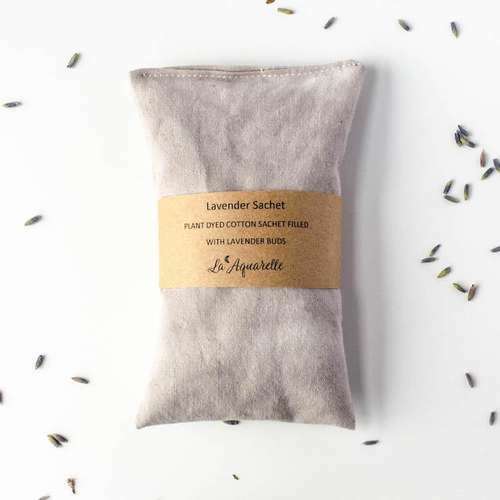 Calming lavender herbal sachet - The lavender sachets are great for those who have a difficult time falling asleep. 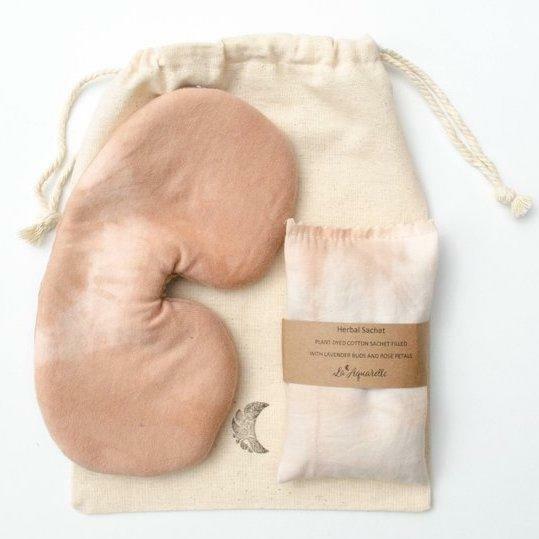 You can place sachet under a pillow, hang near to headboards or on a nightstand close by bed. Lavender proves to be a natural remedy for a range of ailments, from sleeplessness and anxiety to depression and mood disturbances. The scent of lavender will last for years in a pillow, just squeeze it from time to time. 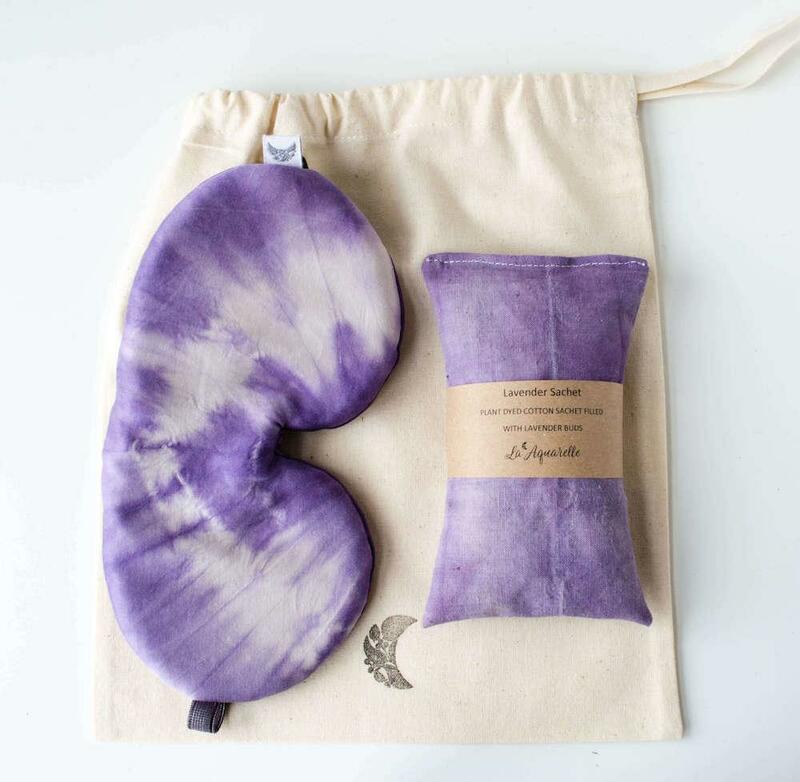 Each pouch is filled with at least 1 ounce (28 g) of organic French lavender buds. Size is approx. 3"x5" (7.5 x 12.5 cm). 3. Cotton drawstring storage bag. Care instructions - Please don`t expose to direct sunlight. 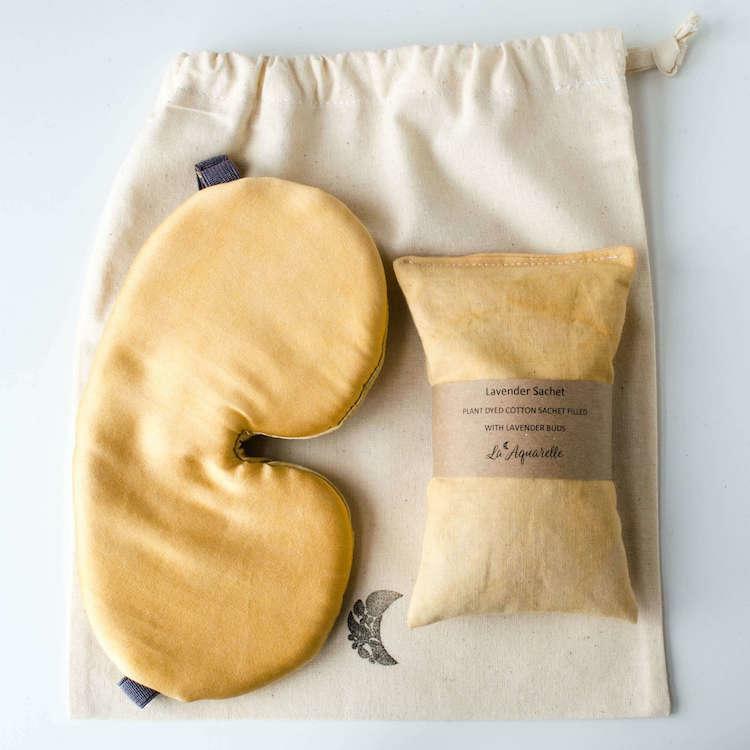 Hand wash eye mask or gentle cycle machine wash with neutral washing detergent (i.e. dishwasher), light dryer cycle, or air flat dry. Materials (organic cotton) - Front fabric - organic cotton. Inside layer 1 - plush organic cotton batting. Inside layer 2 - black organic cotton fabric. Back fabric - organic cotton. Materials (organic bamboo silk) - Front fabric - bamboo silk, Inside layer 1 - plush organic cotton batting, Inside layer 2 - black organic cotton fabric, Back fabric - bamboo silk. 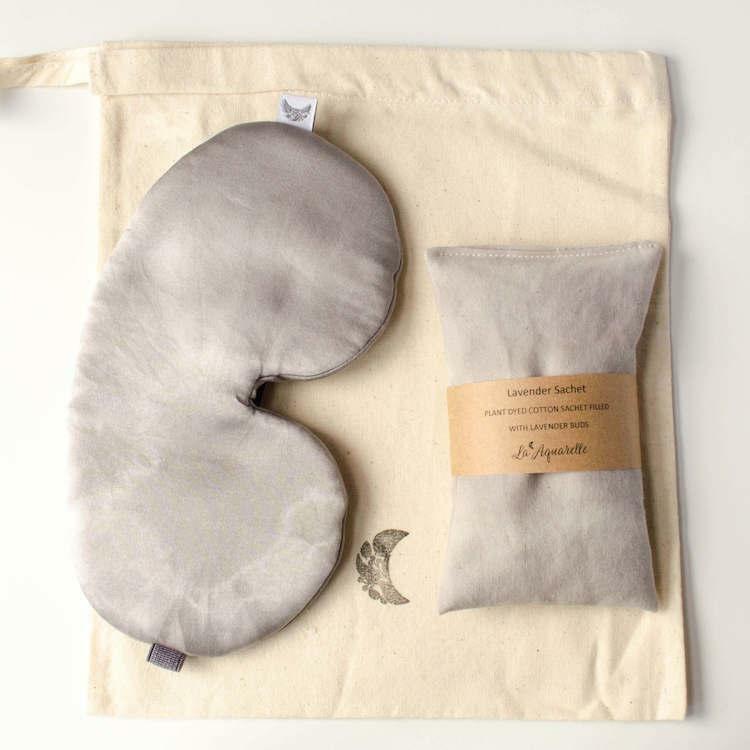 Lavender sachet: Organic cotton fabric, organic french lavender buds.